When it comes to buying a new car (or any vehicle, for that matter! ), you have three options: purchasing it with cash, purchasing it through a loan (also known as financing) or leasing it. For most shoppers, the decision comes down to lease vs finance. Watch as Jen learns the difference between these two car-buying options – or in this case, spaceship-buying options. 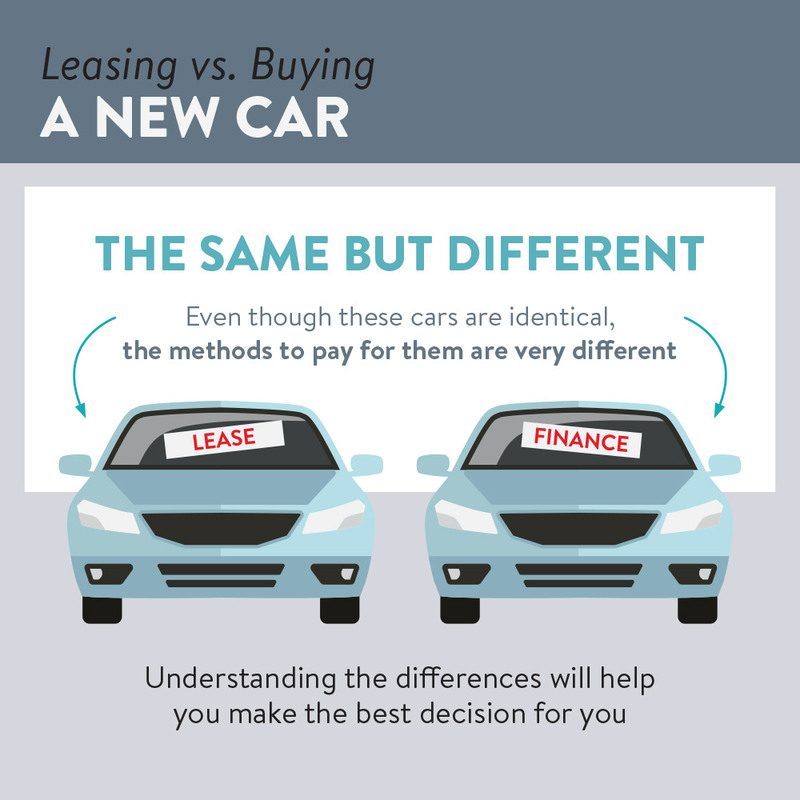 If you’re a visual person, you might also find this Leasing vs buying a new car infographic helpful. Leasing a car means you’ll usually have access to a new set of wheels every few years; buying/financing it likely means that you plan to drive the same car for a much longer period of time. Leasing usually includes a warranty that covers most of your repairs; buying/financing means accepting larger repair costs, which are inevitable as the car ages. Leasing agreements can limit your mileage and your ability to customize your ride; buying/financing means you can put as many kilometres as you want on the car and customize it however you’d like. Looking only at the comparisons above, you might conclude that buying a car is a more practical and economical option than leasing a car – but if that’s really the case, why are monthly lease payments so much lower (often 40% lower!) than monthly loan payments? 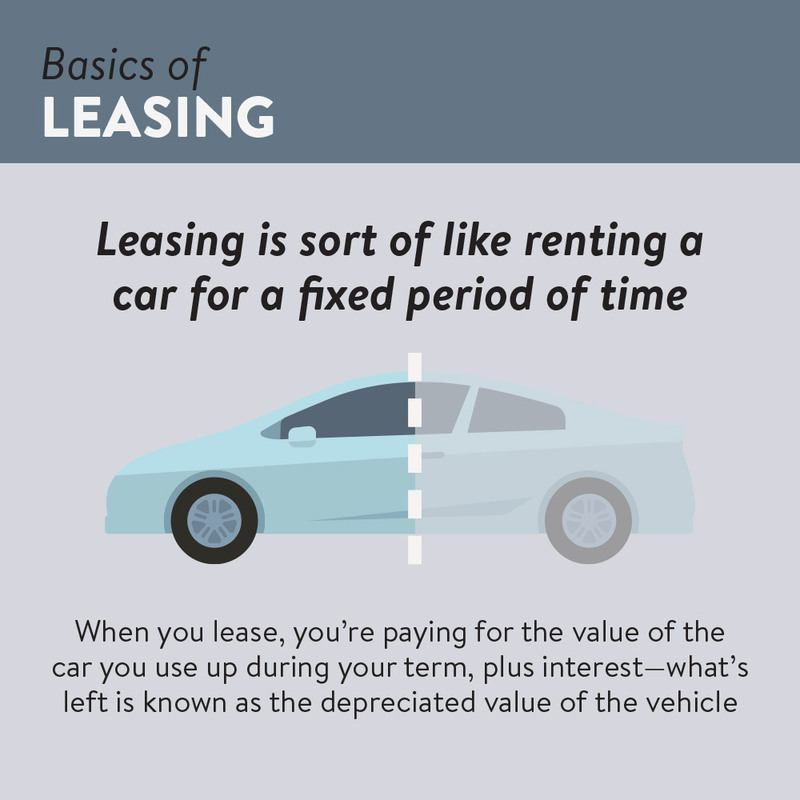 Why is leasing considered more expensive in the long term if you’re paying less on a month-to-month basis? To answer these questions, let’s take a look at the concept of depreciation. Depreciation means a loss of value over time. New cars are a textbook example – you’ve likely heard that a car loses thousands of dollars in value the moment you drive it off the lot. That’s accurate, and that’s depreciation at work (and yes, it can be kind of depressing). 10+ years – the rate of depreciation tends to level out to less than 5% a year. By this time, the car is usually worth less than one-fifth of its retail price! By contrast, when you lease a car, you never actually own it. The company that leases the car to you is responsible for selling the car once you’ve completed your lease term. The leasing company also ultimately deals with the car’s depreciation in value. You get to drive a brand new car without needing to think about its loss in value. That sounds pretty great, right? In reality, even though the leasing company deals with the eventual sale of the car, you’re the one who makes up for its loss in value through your monthly payments. That payment includes an estimate of how much the car will depreciate by the time your term is up. Monthly payments are lower because you’re not paying for the entire car – you’re just paying for how much the car will depreciate in those few years that you’re driving it (a period of time when, coincidentally, the car depreciates the most). As with any major financial decision, there are also other factors that come into play. You need to be realistic about your budget and honest about your lifestyle, and you need to figure out what’s most important to you as a new car owner. How comfortable are you with the limitations set by a lease agreement? How prepared are you to pay for eventual car repairs? Will driving a new car every two to three years be worth thousands of dollars more in the long run? To some people, it might be – it all depends on a combination of your personal needs and preferences.